We wanted to extend a big thank you to Bill Carlson, founder of U-Profit, for having TrustWorkz as one of the sponsors this year! Bill is a success coach that started the U-Profit conference as a way for businesses to grow through listening to influencers in the industry and focused group discussions. This year was Bill’s eighth year putting on U-Profit Business Success, which continues to strive to be the best, most responsive, innovative and experienced leader in education for the skating industry. In today’s post we wanted to highlight a few takeaways from U-Profit and share them with you! We had a chance to hear some talented speakers: Bill Carlson, Success Coach, Don Perkins, Fun America at Roll On America owner and Founder of “Kids Skate Free“, Frank Price, the birthday guru, Alex Grammatico, the Epic DJ and Fun Director, and Howard Flint, Constant Contact expert. Each of them offered great insight into making businesses successful! Lauren and I had such a great time seeing everyone at U-Profit. 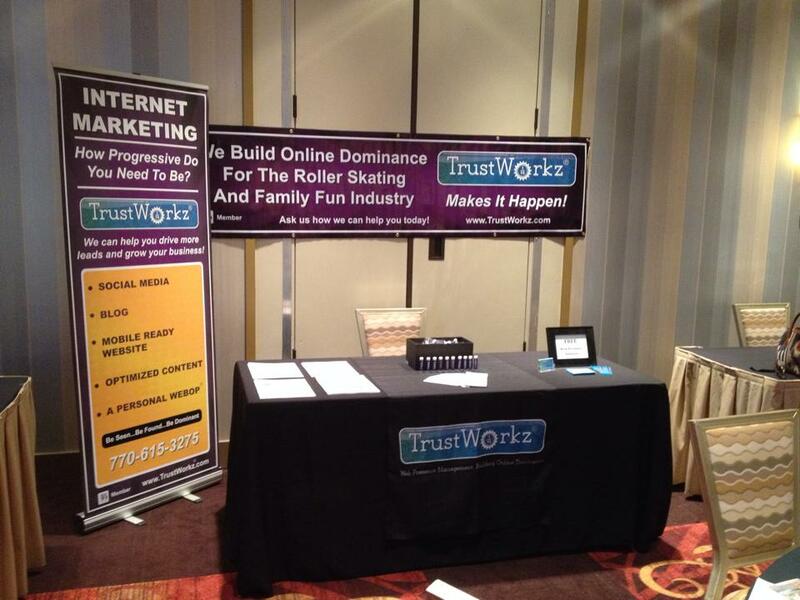 TrustWorkz is already looking forward to next year’s conference! Interested in connecting with TrustWorkz? Connect on Facebook, Twitter, and Google+ !